Children learn that their opinions matter when we encourage them to tell us what they like or dislike. They should learn that it is perfectly fine to say, in a polite way, that they do not like something. Teachers often ask children to give a thumbs up or down after listening to a book. Accepting that not all books are enjoyed by everyone is a way we can show our children that people have different opinions and these need to be respected. This applies to many experiences. Listening patiently to children as they tell whether or not they like something and their reasoning is an important learning experience. It not only teaches them that their opinions matter but it models for them that we all must listen and respect the ideas of others. NAEYC – 2.B.02., 2.B.07., 2.D.03. Head Start – II.C., VIII.B. This post might be helpful for your classrooms, but it is sure to please families, especially at this time of year when many children will be home and messes are sure to abound. 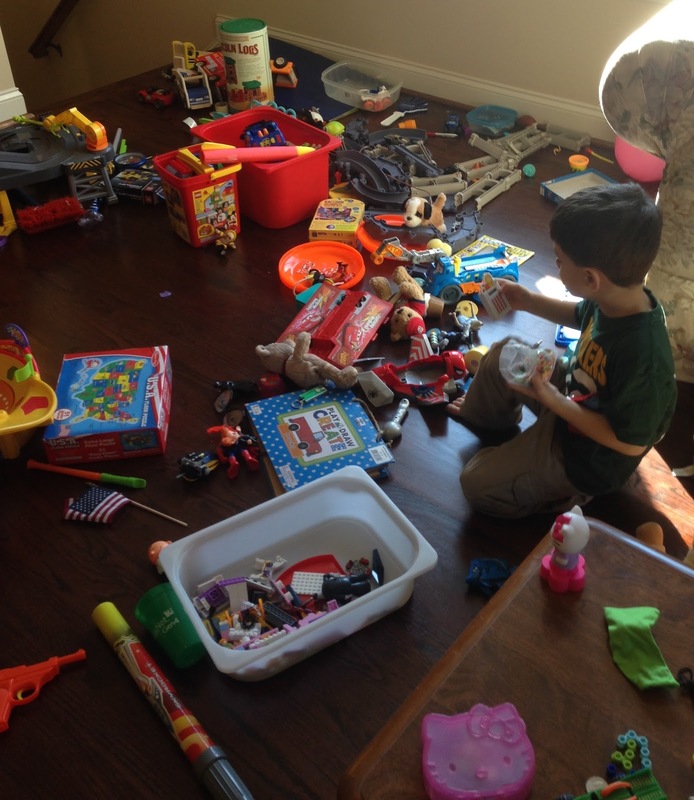 Toys can take over a house (or classroom) and weary families often struggle with constantly cleaning up. 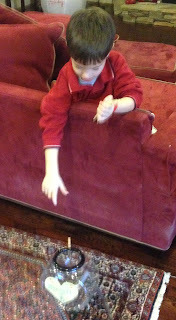 The refrain, “Pick up your toys” is often a favorite but unfortunately may not yield the results we want. There are a few ways we can avoid the constant struggle that disorganization brings. This child was not happy with the disorganization of his toys. He often complained about it but did not know how to fix it. Children must be included in organizing a room. This means that adults should not quickly clean when children are sleeping or at school. Small children are usually eager to help. While having their help may take a bit longer, the results are worth it. Children who are invested in organizing and have a hand in deciding where things will be kept are more likely to find those spots again when asked to clean. Another important component of cleaning and organizing is getting rid of toys, books, and games that children have outgrown. Have special boxes for these. Discuss with children where these should go (a neighbor, friend, relative, organization, or yard sale). When children can name the place their toys will end up, they are often more likely to part with them. Finally, labeling bins, boxes, or even spots on the wall can help children as they return toys to correct places. The bonus? It helps preschoolers understand that words have meaning. They may even develop sight vocabulary! 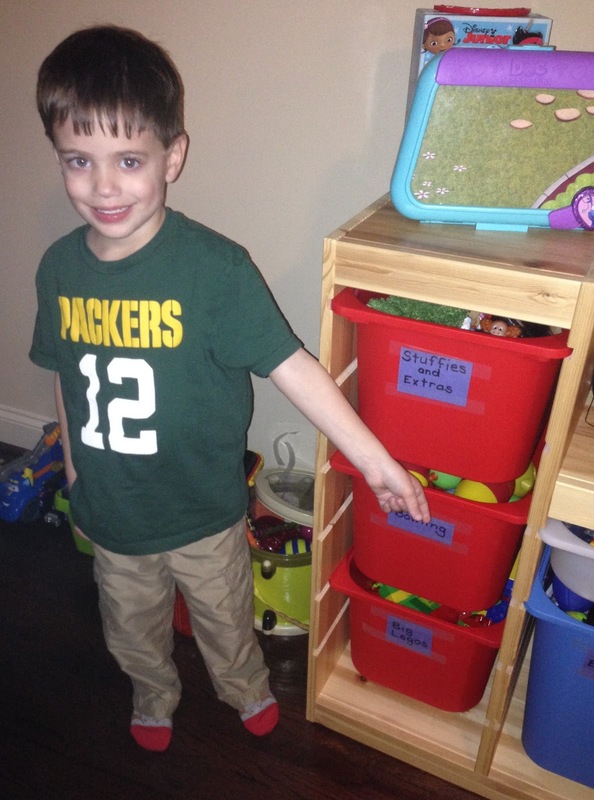 When he was involved in organizing, the child knew where everything should be put away. After having friends over, he cleaned up his room in less than 20 minutes with no complaints. Involving your children in all aspects of cleaning and organizing will pay off! Head Start – II.B, VII.D. Sometimes teachers are always looking for the ‘latest and greatest.’ I constantly need to remind myself that often what seems old to us is NEW to a young child! Nursery rhymes teach the all-important phonemic awareness skill of rhyming. And…those games your parents and grandparents enjoyed develop necessary skills. There are many versions of Memory available today. You can even make a personalized game from a set of pictures. With digital cameras, it would be easy to create Memory cards showing interesting neighborhood environmental sights such as evergreen trees, deciduous trees, flowers, etc. You may want to make a Memory game that shows favorite books. There are so many possibilities! Grandparents will likely recall the old favorite, Drop the Clothespin in the Bottle. Children still love this game! It develops hand/eye coordination in ways computers and other electronic devices cannot! 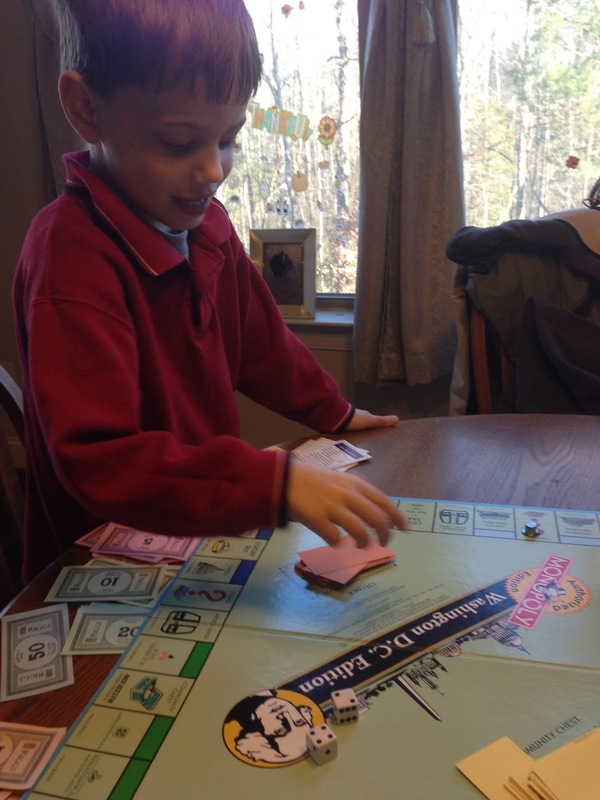 Board games like Monopoly teach children about counting. My four year-old friend in the photo, was counting by 5s as he gave me the play 5 dollar bills! He counted the dots on the dice and moved that number on the board. He thought about strategy such as what might be best to buy. And he learned about winning and losing. What a lot of lessons! Sometimes games are more than games! Please share this post with families! I was fortunate enough to see the author of Stormy Night, Salina Yoop, demonstrate a fun way to engage young children in her books. In the video below I have included some of her techniques like using bubble wrap to mimic rain and waving a paper for the sound of wind. Additionally, I helped my young friend understand the feelings of the main character by having him find a stuffed animal to cuddle during the reading of the book. This helps children understand that book characters have feelings and is a valuable first step in identifying lessons that books can teach us. You will see suggestions in the upper left corner as I read in the video below. These can be applied to any book. Head Start - III.D., VII.A.